Plaque with signature, date '91 and numbered 3/200 near the base. 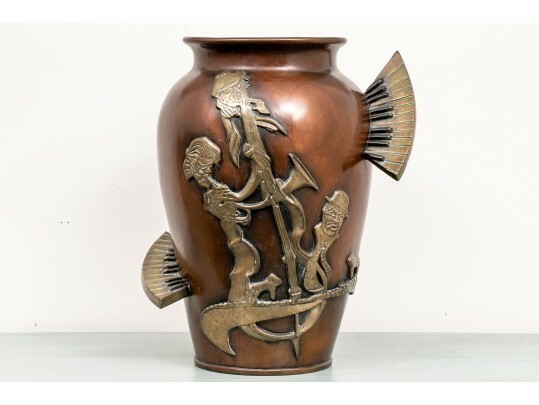 A tall jar in a mottled copper tone finish with brass appliques of jazz musicians playing a bass, a trumpet and a piano in an abstract style. Two keyboards project out from the vessel like wings. H. 17 1/2", Diam. with keyboards 16", Diam. top 8 1/2"